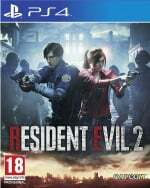 Resident Evil 2 is based on a 21 year old game, and while many purchasing the title will be returning players, a whole host of you are sure to be experience the horror classic for the first time. Here's a bunch of tips, tricks, and hints to make your first steps into Raccoon City a slightly less foreboding ordeal. 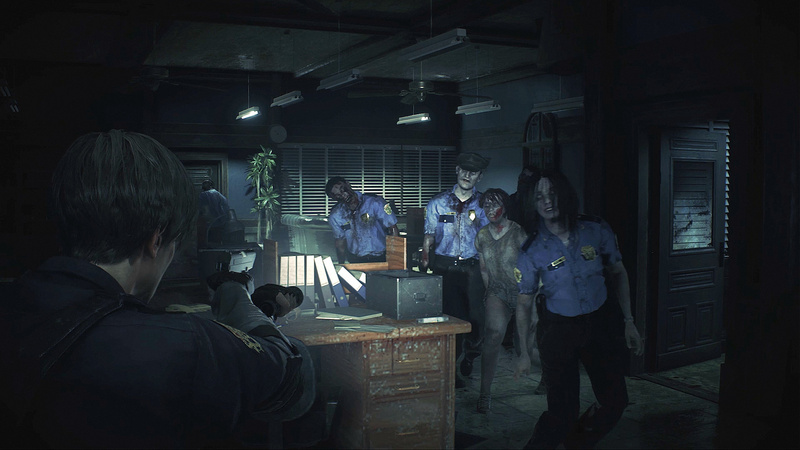 The earlier games in the Resident Evil franchise are notorious for the lack of ammunition you'll gather throughout environments, and that's still the case in the remake. Make sure to search every nook and cranny of each room in order to scavenge as many bullets as you can, and once you think you've found everything, double check by taking a look at your map. If you've picked up all items in that particular room, the map screen will turn those four walls blue. If it remains red, there's still something left to uncover. This goes further, though. You don't have to, and probably shouldn't be killing every zombie you come across. There simply isn't enough ammunition in the game to be doing that. Rather, focus on taking shots at the heads of the undead. Two or three hits is enough to stagger them for a few seconds, allowing you to quickly get past. As long as you aren't hanging around that area for the immediate future, those zombies caught in a daze will no longer be a threat. A tougher technique to master will have you avoiding zombies without wasting bullets at all. Learning how to dodge and manoeuvre enemies is a fairly high level skill, but if you look out for some telltale signs, you'll be breezing by them with ease. Firstly, in which direction is their body moving? If they're moving from side to side in a corridor, you'll be able to accurately predict their next move. So, when they turn away from the angle at which you want to take, quickly run around behind their back. Next, you can also predict their moves from which way their head is facing. The nasty set of teeth is what's going to deal the damage, so if they're not looking at you, they can't do anything about your presence. If one is slowly stumbling towards you, pay attention to that noggin. If it's looking left while you want to go right, you should be able to carefully move beside it without a scratch. 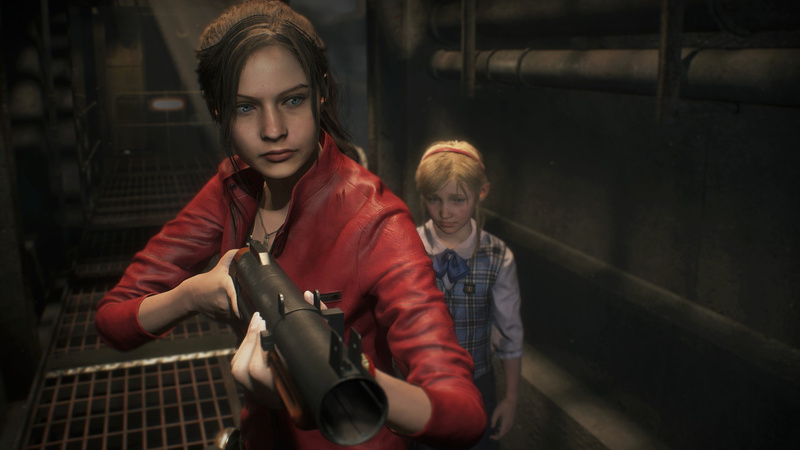 You'll pick up so many items in Resident Evil 2, but some have a hidden use that isn't obvious from the naked eye. Make sure you inspect every object you pick up from the inventory screen, because they might be more important than you might think. For example, the S.T.A.R.S badge you find in the Raccoon Police Department turns into a USB Dongle that'll unlock a door once inspected closely enough. Sub-weapons are combat knives, hand grenades, and flash grenades, and they can save your life in certain situations. Some later enemies have the ability to kill you in one hit, and the only way to combat that is with a sub-weapon. Always try to make sure you have one or two on your person at all times to get you out of a sticky situation, but don't swamp your inventory in them. Carrying on from the previous point, you need to learn when you shouldn't be picking up an item, either leaving it for later or forgetting about it altogether. You have very limited inventory slots, so when you're exploring a new area, you need those slots to be free for more important items. If you already have the likes of a first aid spray with you, you probably don't need to pick up another green herb. Don't worry, though, your map will make note of any items you don't pick up should you need them in the future. Finding a green herb is great, but combine it with a red or blue one and its usefulness increases. Combine a green and red herb together and you'll have a mixture that'll fully heal you, even on danger. Meanwhile, introduce a blue herb and you'll be able to eliminate any poisonous toxins in your blood. In doing so, you'll create more useful items and save space in the process. On top of that, combining different types of gunpowder will yield different results. If you're fully stocked up on handgun bullets, consider making some shotgun shells for those tougher enemies. Having a wide selection of weapons to choose from that are fully stocked up is an invaluable advantage to have. 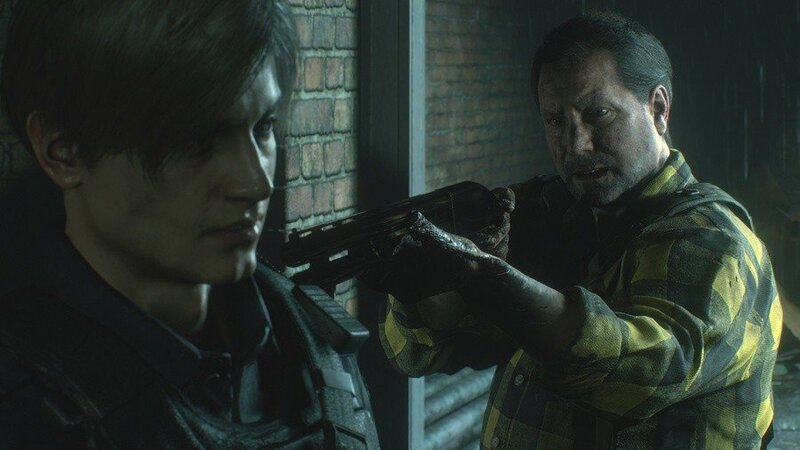 We keep on saying it, but inventory management is so vital in Resident Evil 2. You'll uncover all manner of items and objects throughout your time with the game, and some of them won't have an obvious use right away. If that's the case, store them in the chests next to save points for later use. In doing so, you'll free up a slot for an item that you might need to use right away, or something you find when exploring a new area. In the same vein, you probably don't need to be carrying more than 60 handgun bullets at any one time. If you've stocked up well, store some leftovers in the chest so that you always have some ammo to fall back on. It saves space and gives you a safety net should you run low on supplies. When shooting zombie in the head, wait until the crosshair is shrinking, there's high probability the bullet will do more damage or one shoot kill (the zombie head explode). There’s certain zombies which can’t be killed, how are we supposed to know which ones they are without emptying a full clip of bullets into their head? I know Tyrant can’t be killed, it’s the regular scripted zombies in certain situations, like the first zombie cop you encounter at the police station after the human cop gets ripped in half, you can keep knocking the zombie to the floor with a few headshots but he never dies he just keeps getting back up. Just go and die, no problem. Aim for the legs, they tend to stagger them more often than not, and give you a second or two to run past them. Also, there are some zombies that cannot enter other areas through doors, use this to your advantage by opening the door, getting a couple shots in, and running past them. You can also go through a zombie as it is busting open a door, you have about a second to clip through them.